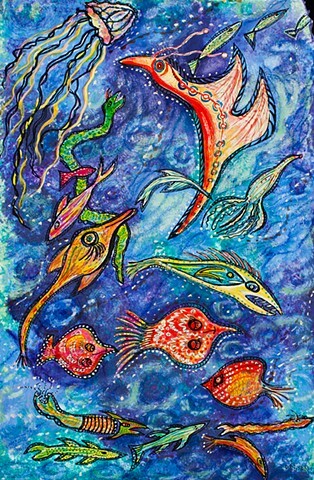 As an avid SCUBA diver, I sometimes want to paint fish in fantasy dimensions. The wild colors of the coral and fish, and movement of underwater currents often are an overload of my senses and sometimes I feel as if I'm in a trance, there is so much to see. It's a surreal experience.